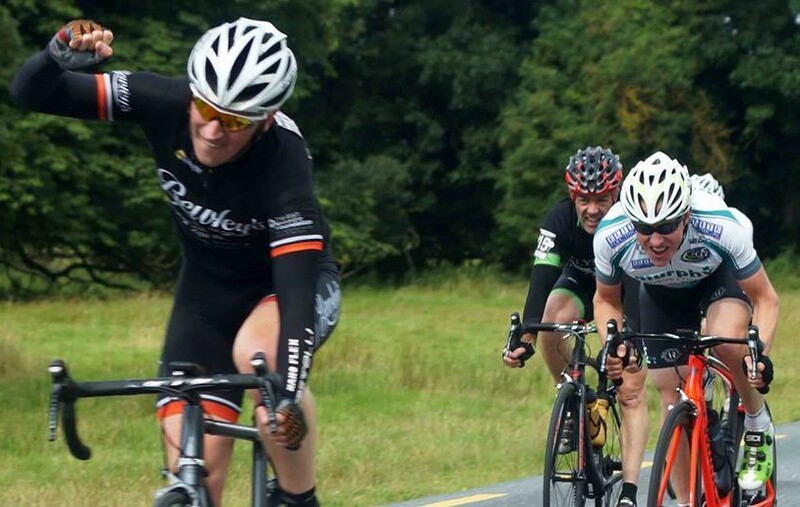 In an exciting finish to the Henry Whelan Memorial over four laps of The Curragh circuit, Dylan Rafter delivered a stunning sprint to beat Paul McKenna and Fearghal Regan to the line. Long-time race leader and last year’s winner, Sean Lally, had the misfortune to puncture at the start of the last lap, and this changed the dynamics of the race heading into the final climbs of Boston Hill and Dunmurray Hill. In the end, it came down to a sprint between a small group of riders with Dylan taking the honours. It was great to see members of Henry Whelan’s family at the race finish today, to present the trophy to the winner. Thanks, as ever, to the race marshals, drivers and outriders who make such a big contribution to our racing. Previous story Sat TT_09. 10 TT, Johnstown Bridge.